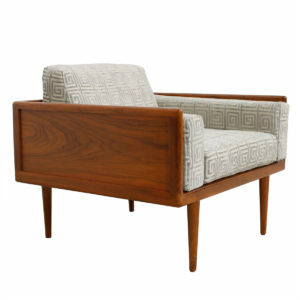 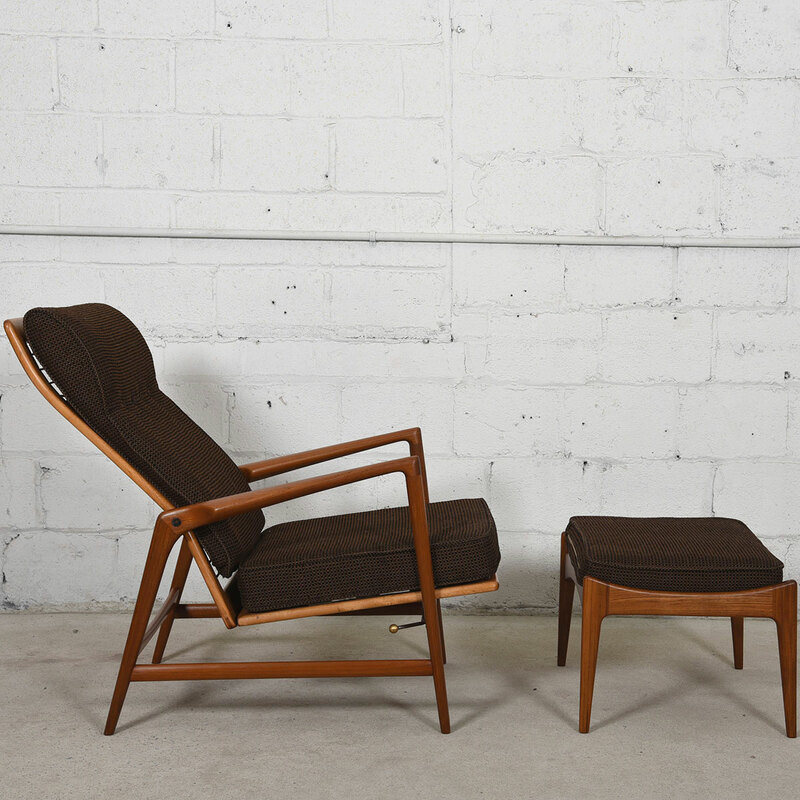 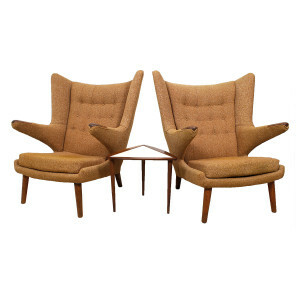 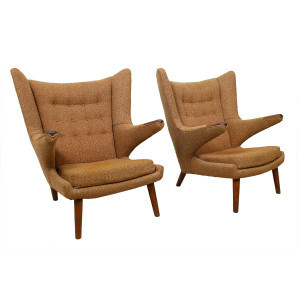 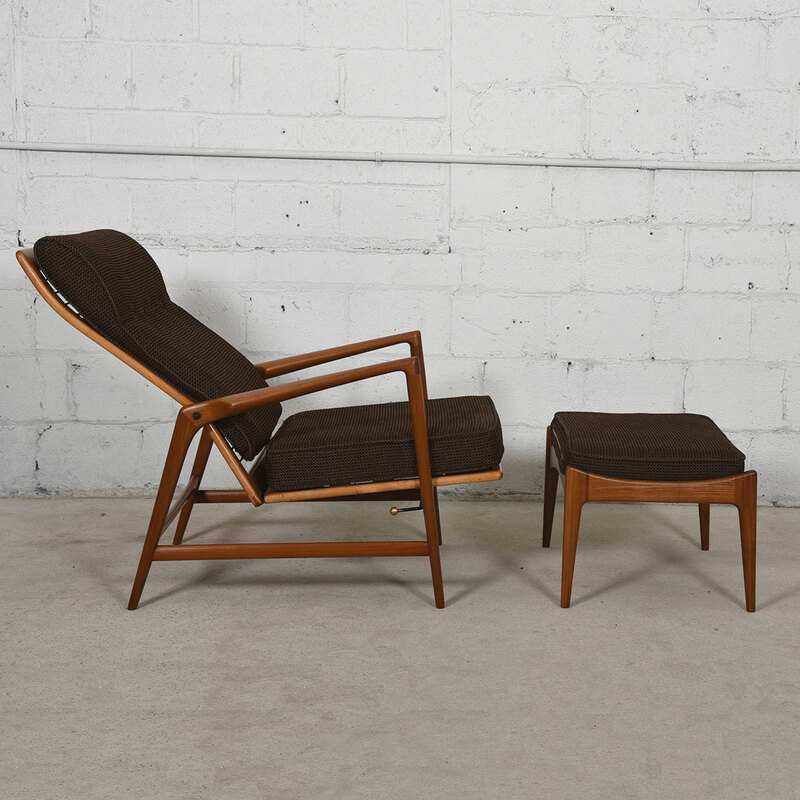 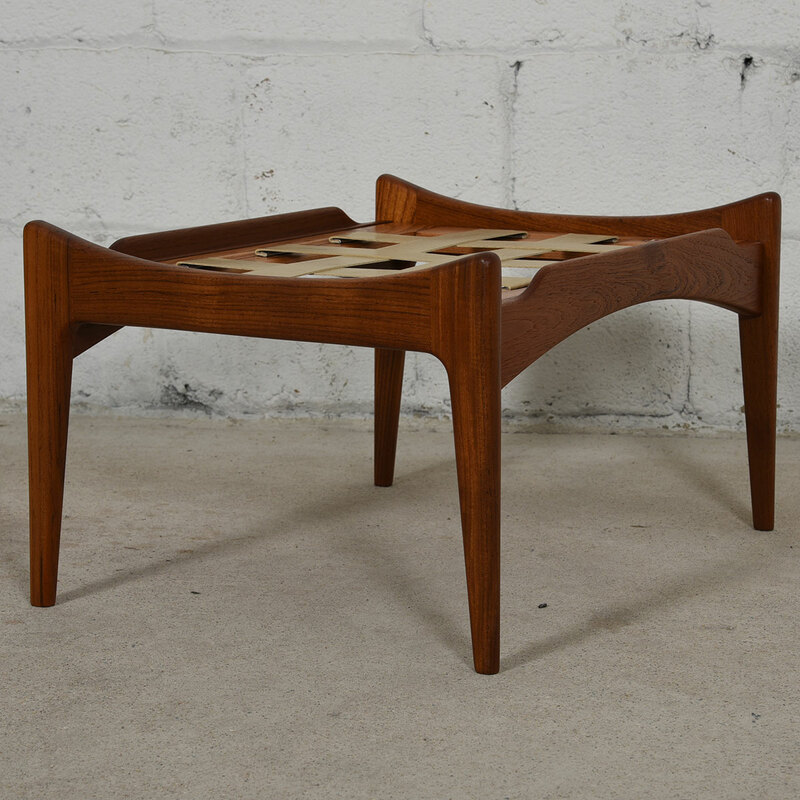 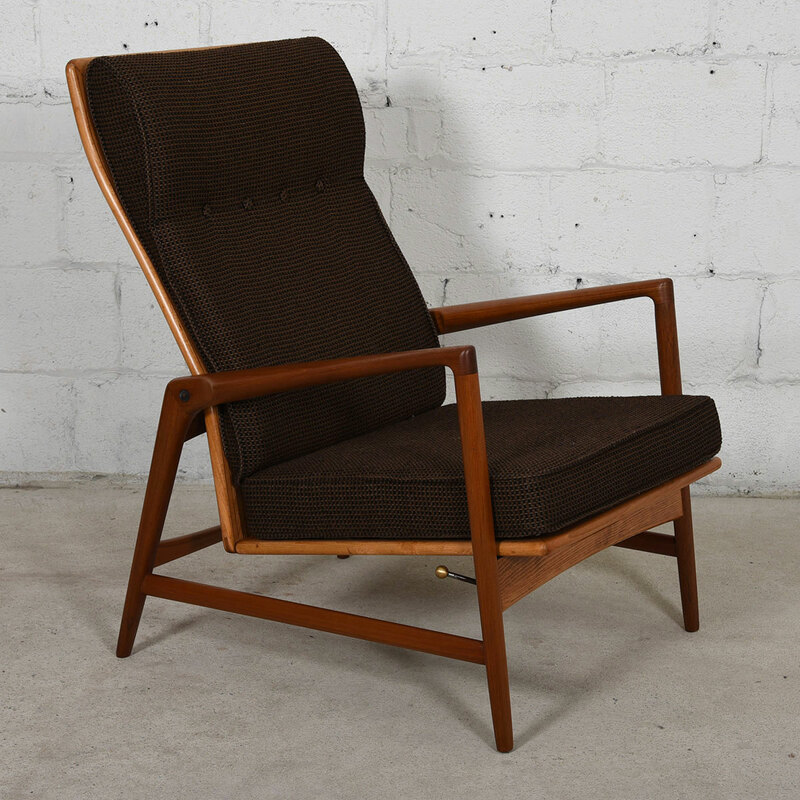 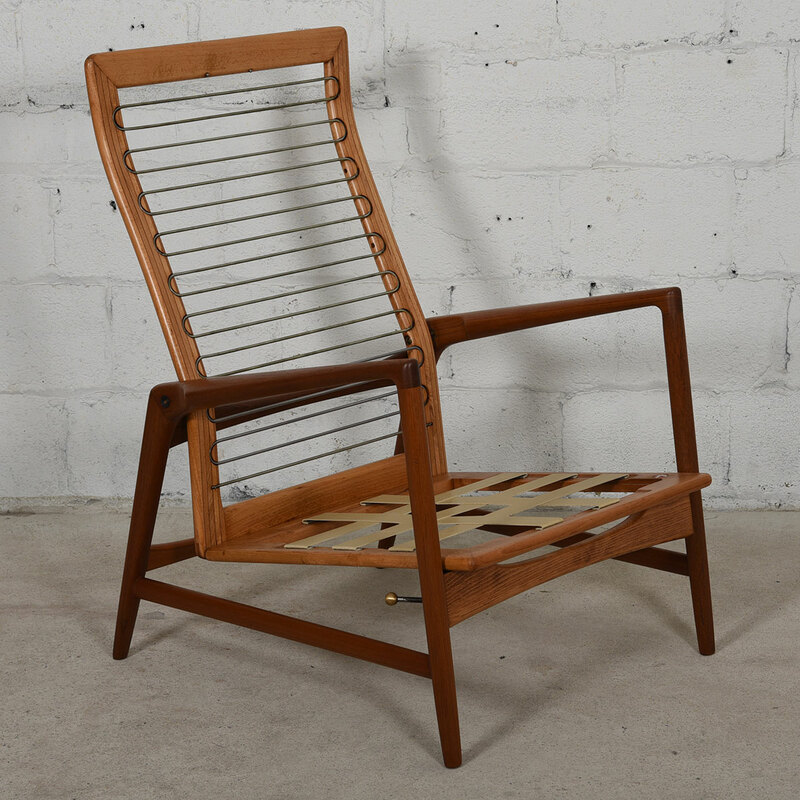 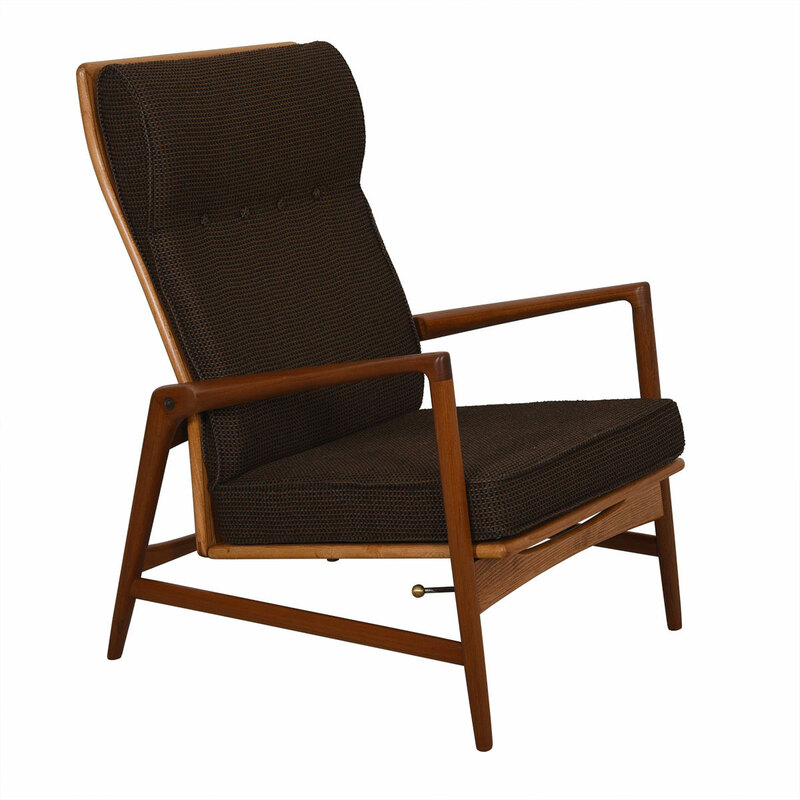 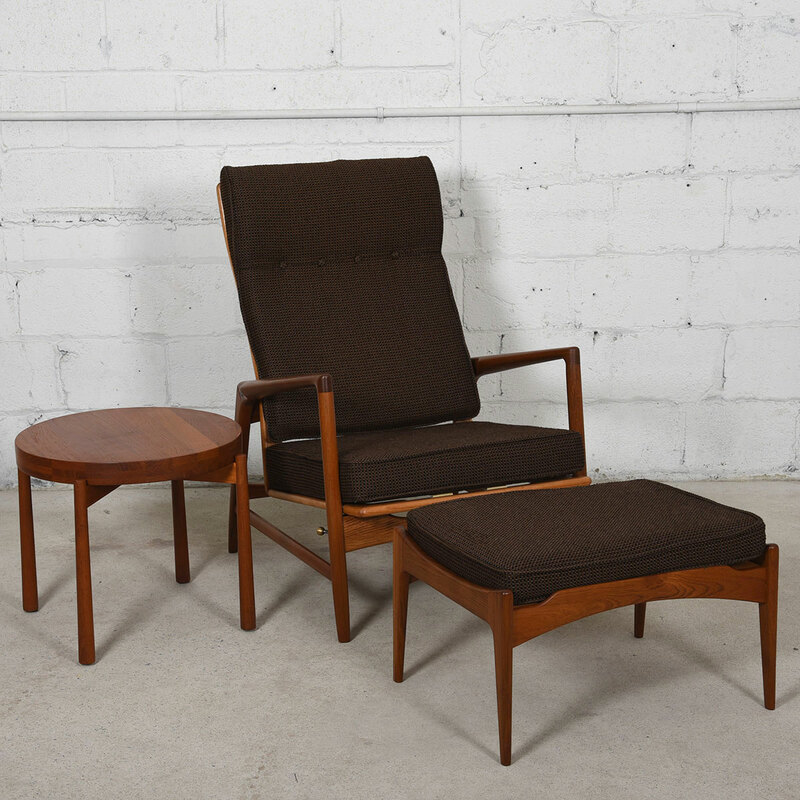 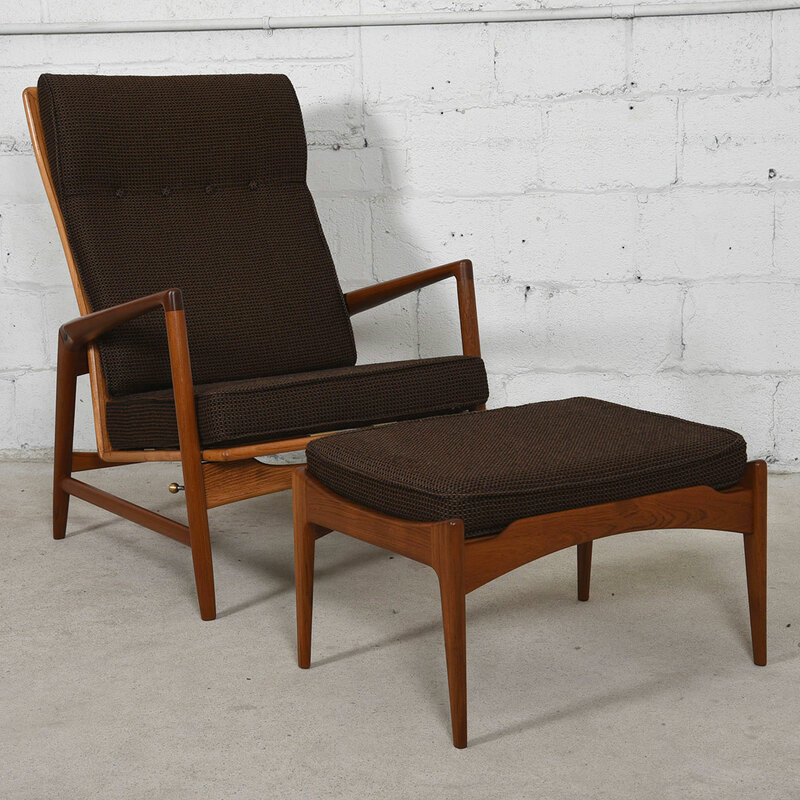 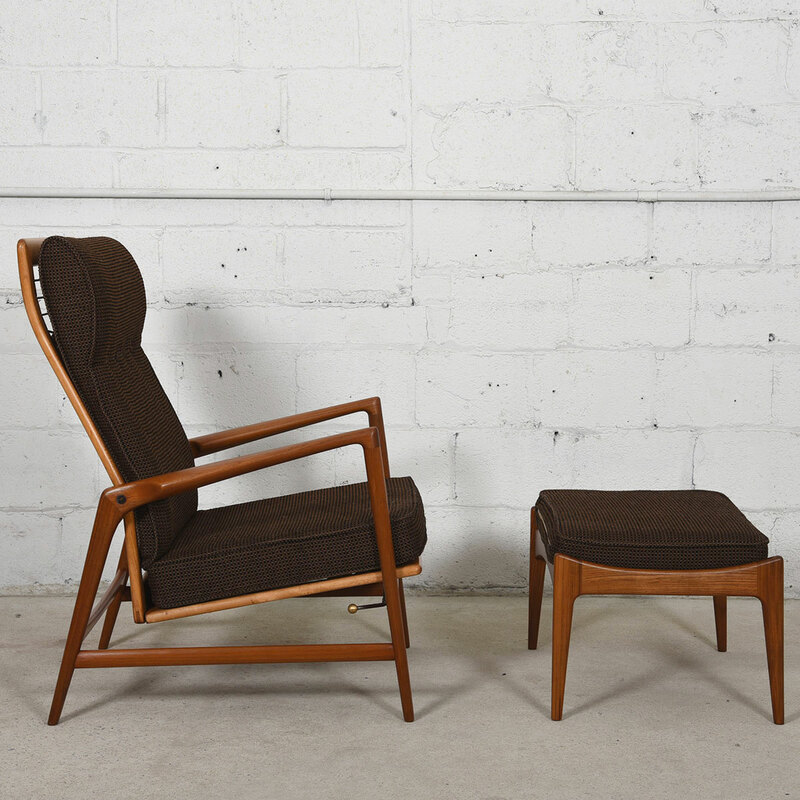 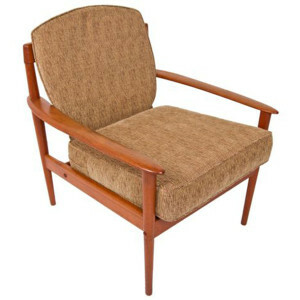 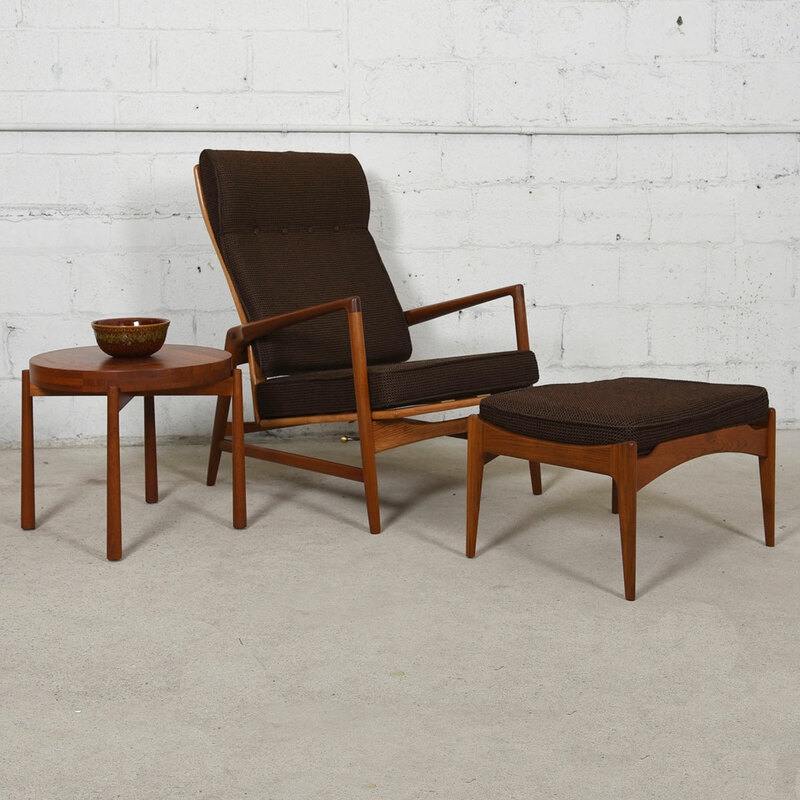 We are pleased to offer this remarkable lounge chair and matching ottoman, designed by Kofod Larsen for Selig. 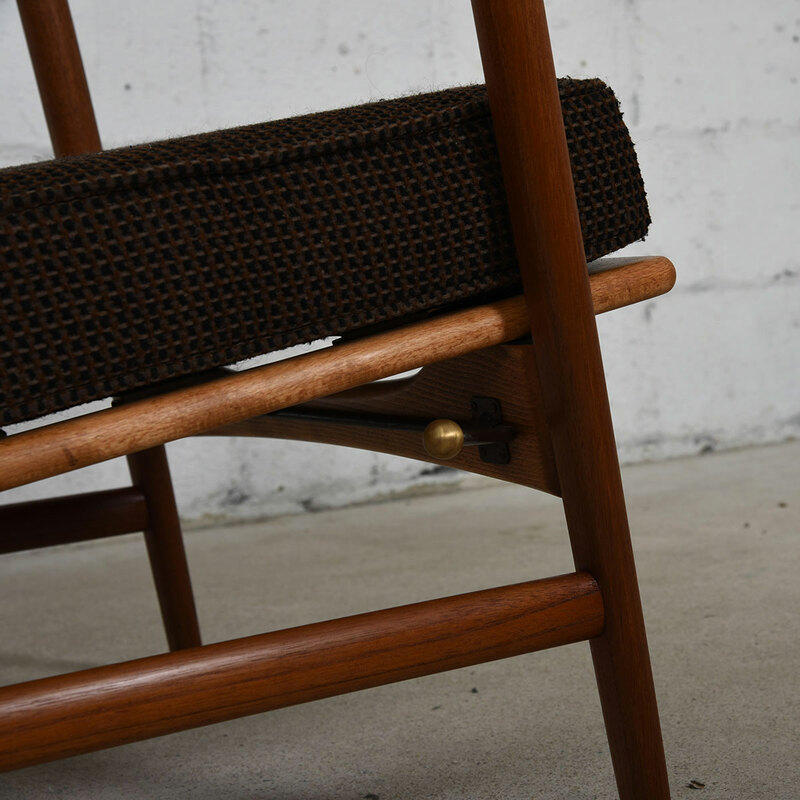 The chair has six different positions for reclining offering endless relaxation options. 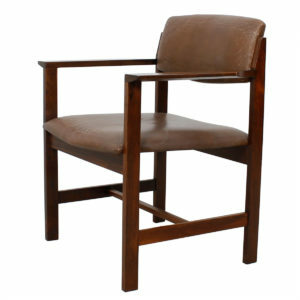 The back is shaped to provide lumbar support so it is comfortable for the body, plus there is a headrest. 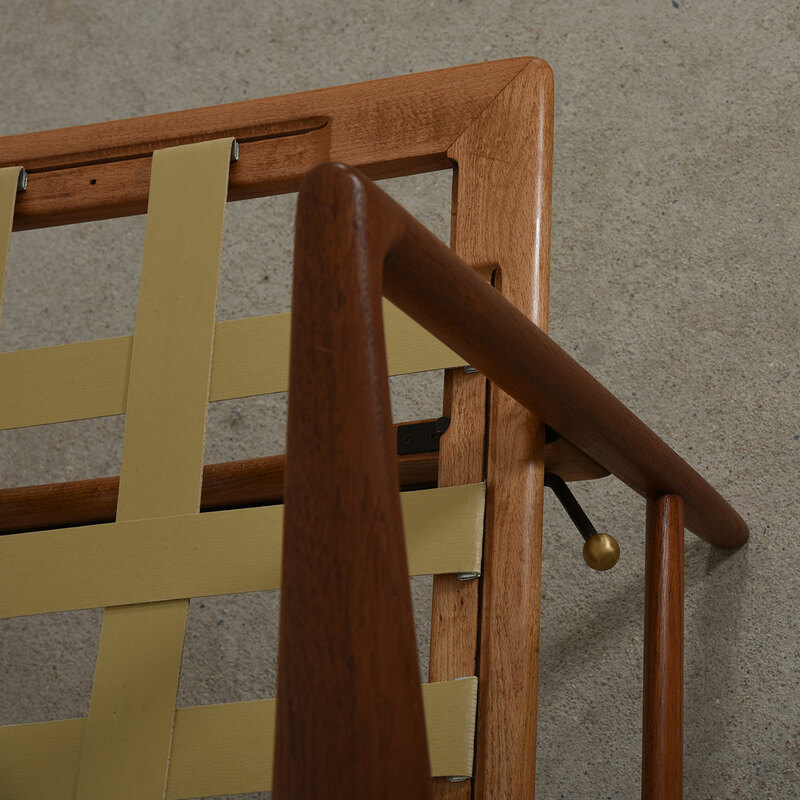 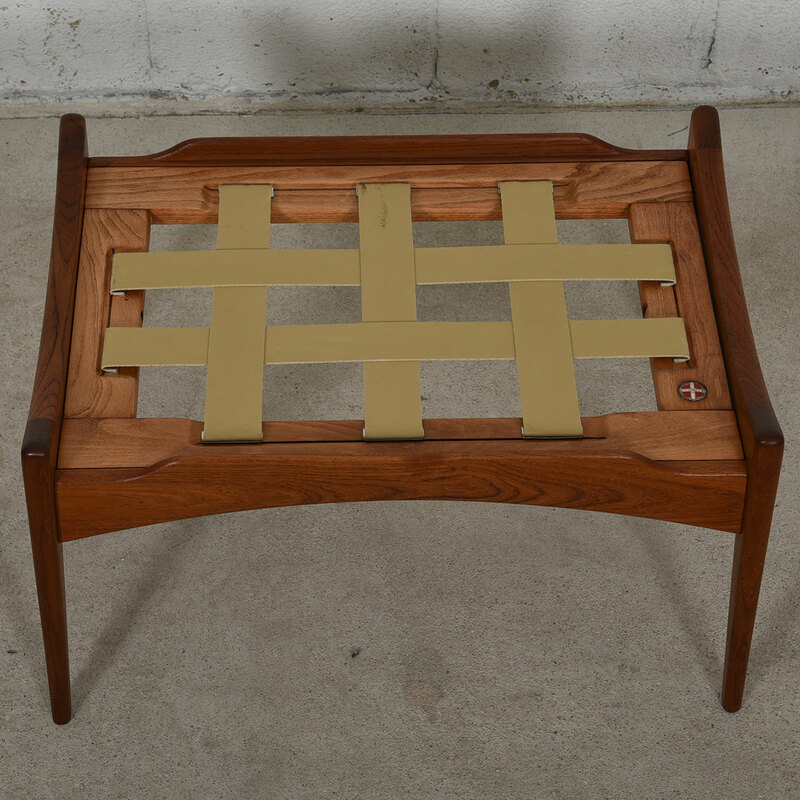 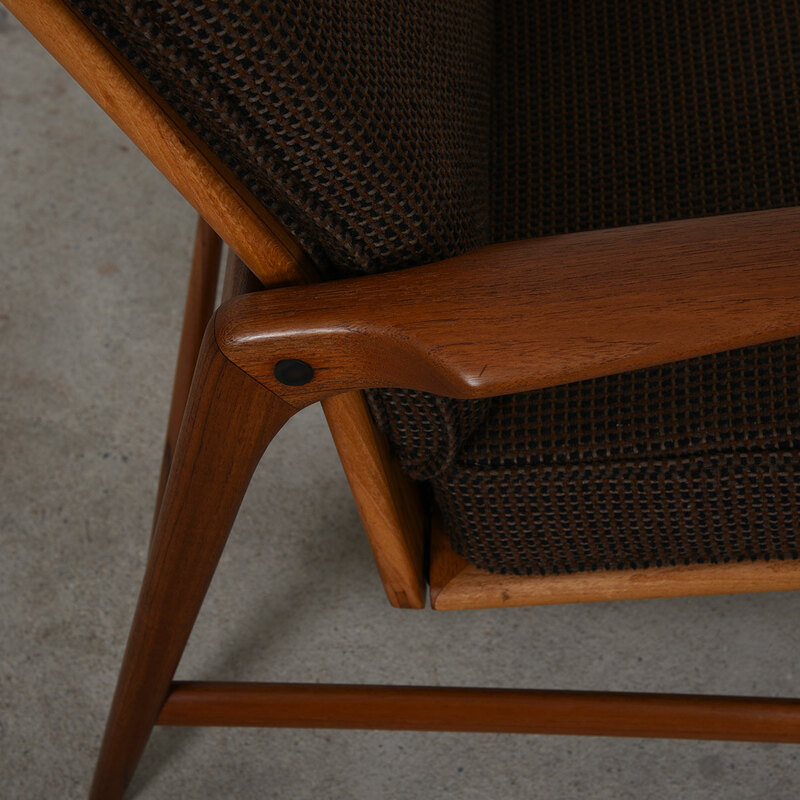 The teak frame has beautiful lines and small details, such as the brass knob on the end of the lever. 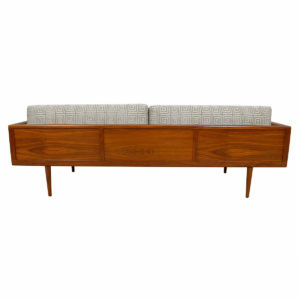 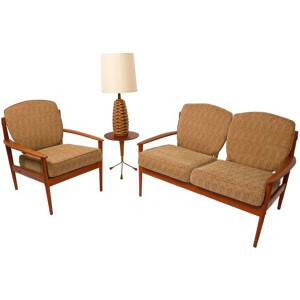 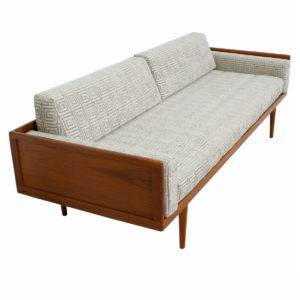 Both pieces have cushions upholstered in period brown fabric. 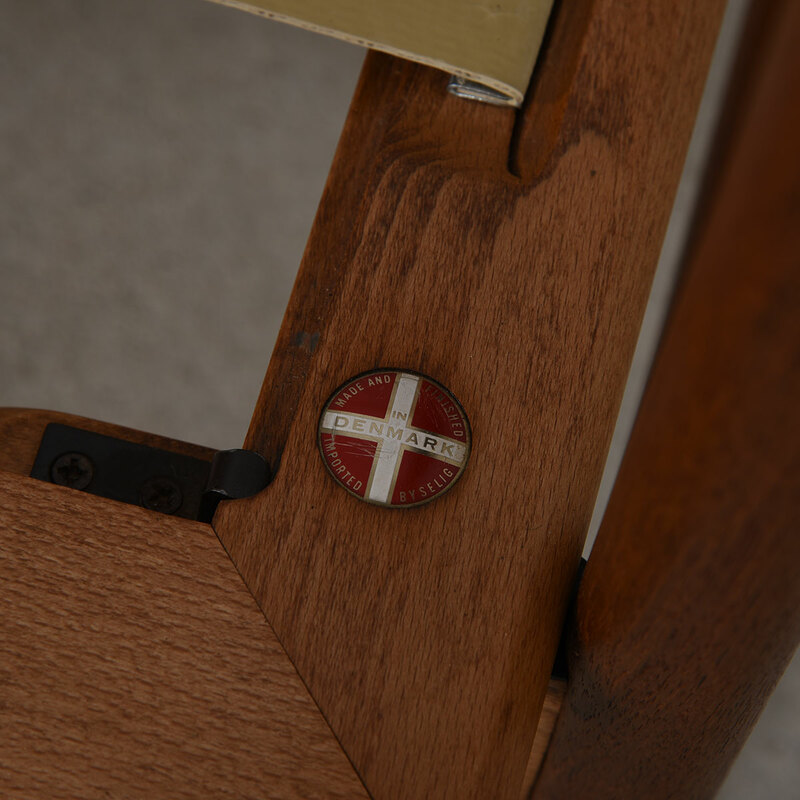 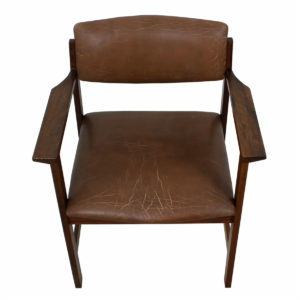 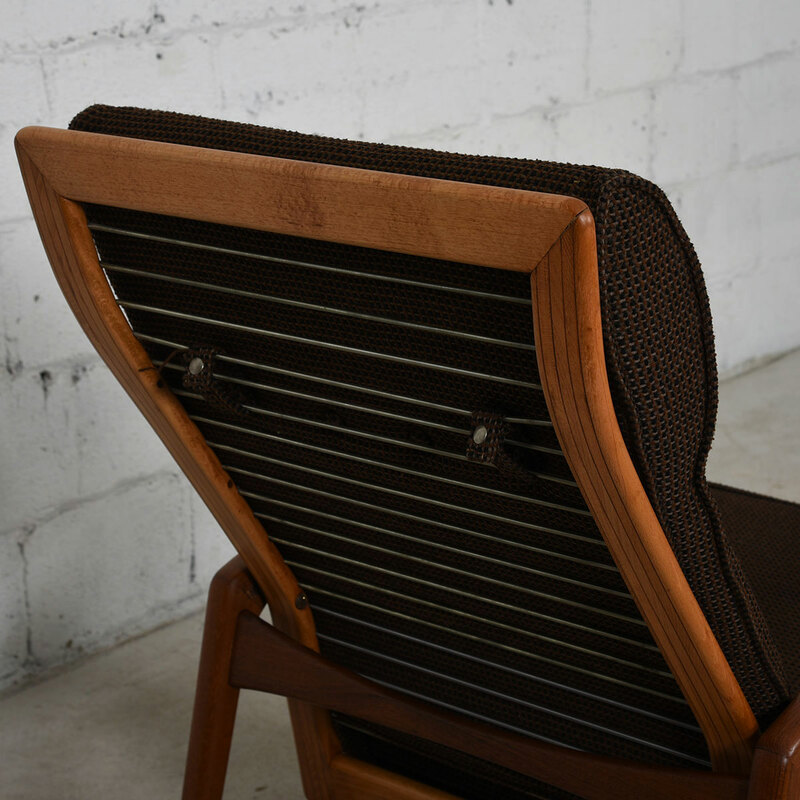 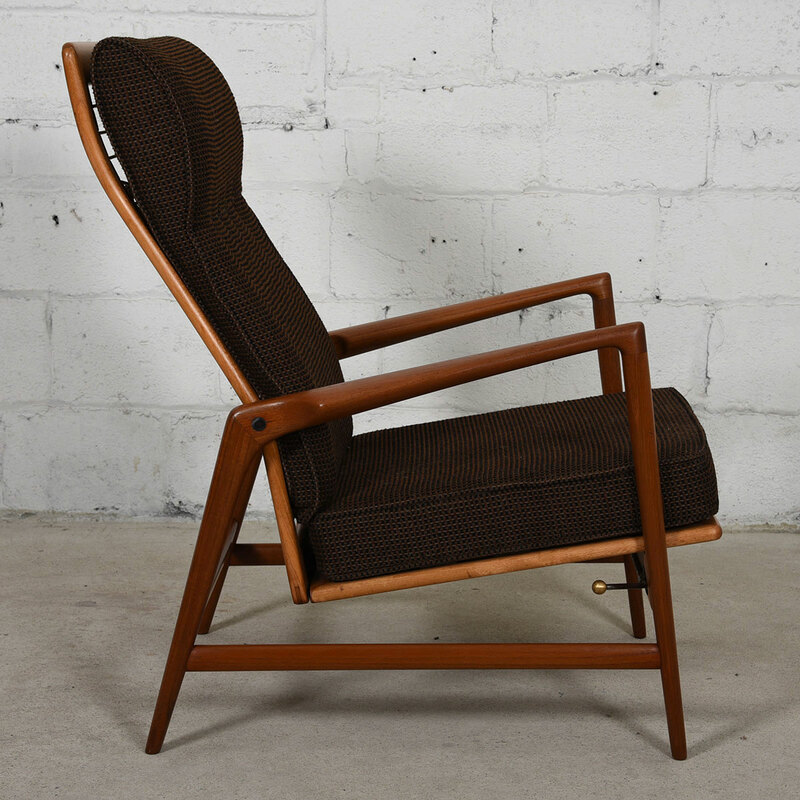 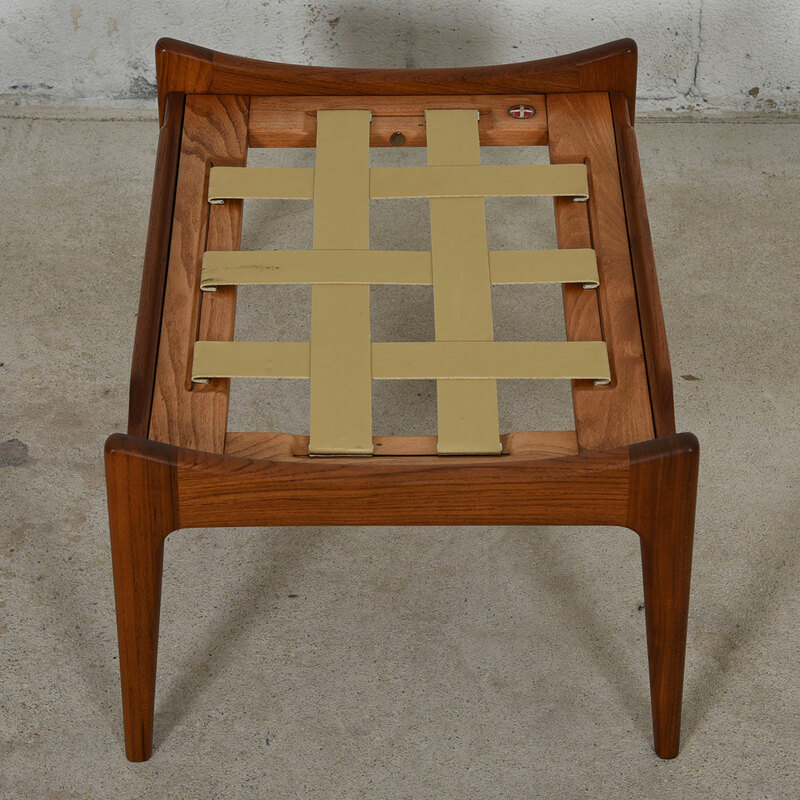 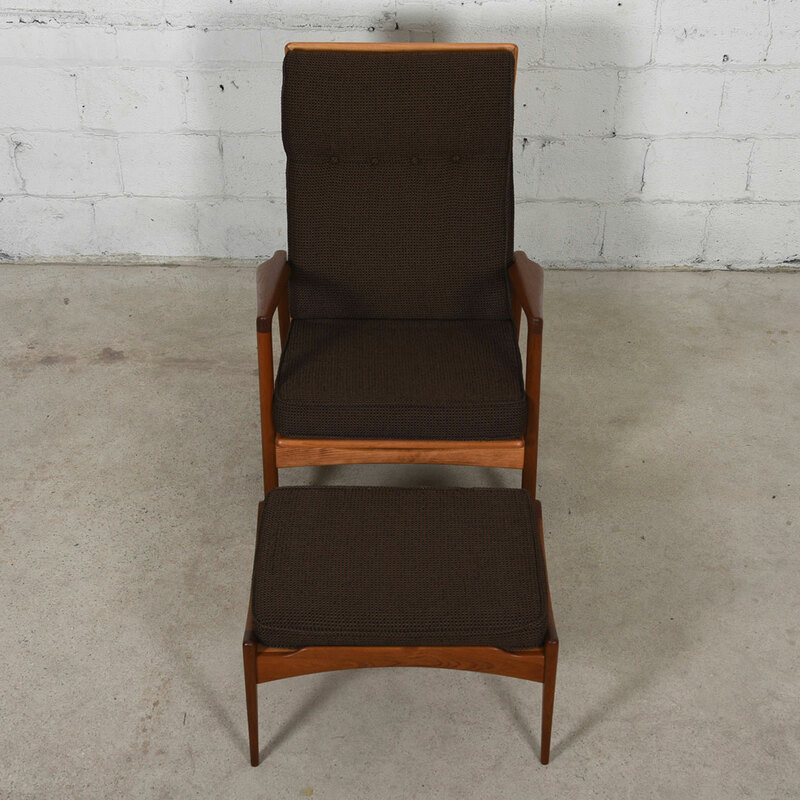 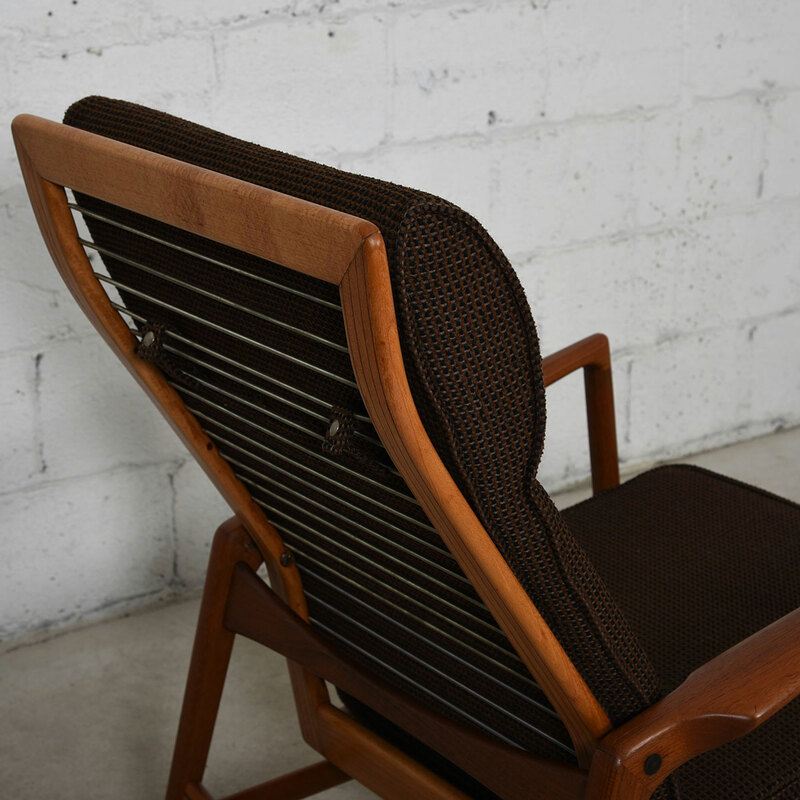 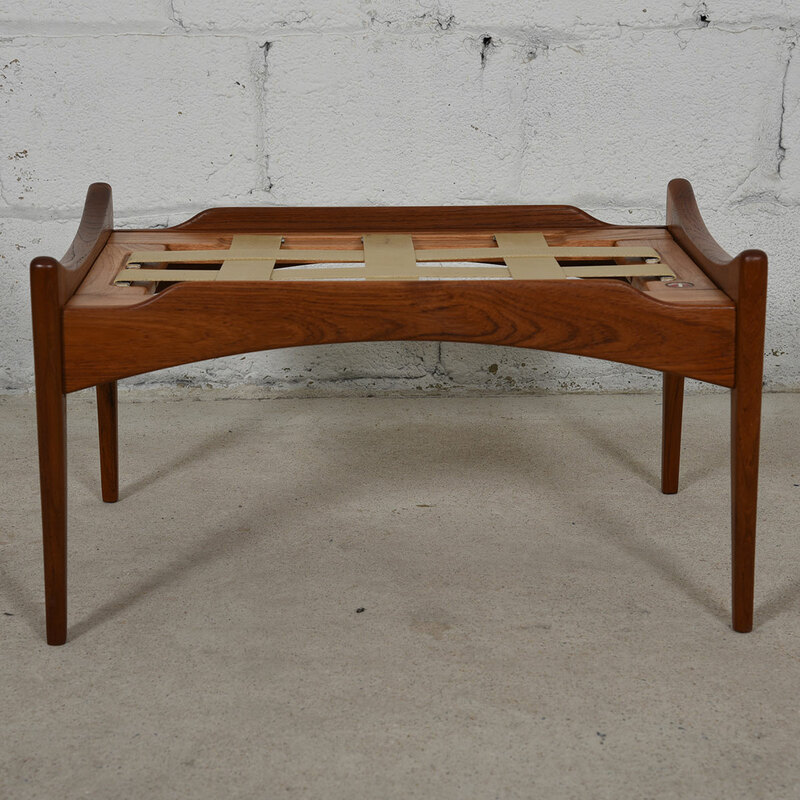 A very special chair from one of the Danish Masters of chair design. 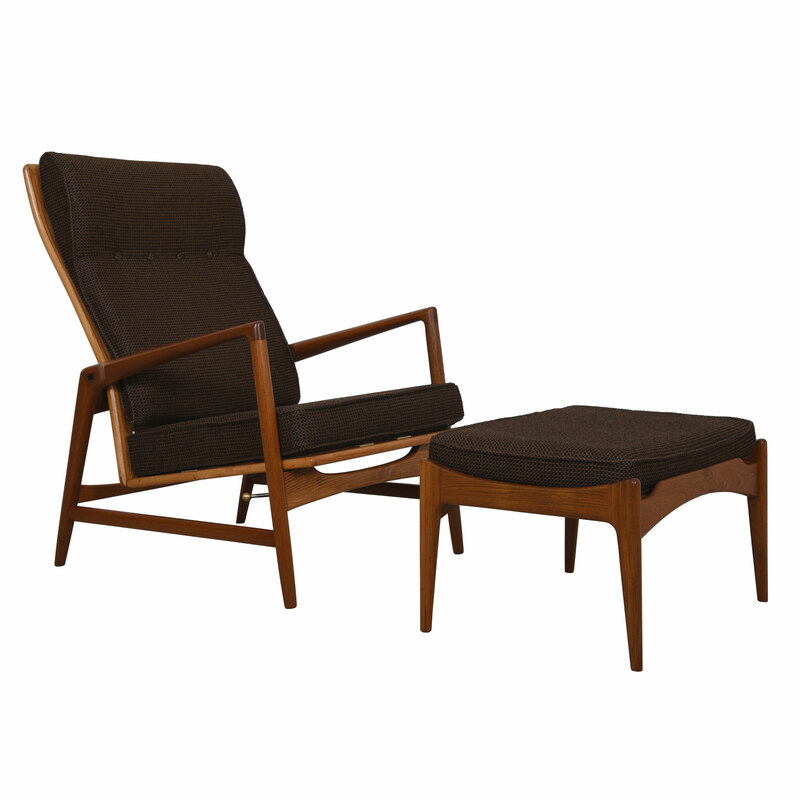 SKU: Ref#: 8124. Categories: Seating, Lounge / Rocking. 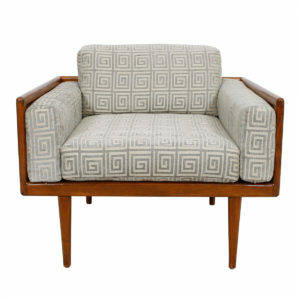 Tag: DC.